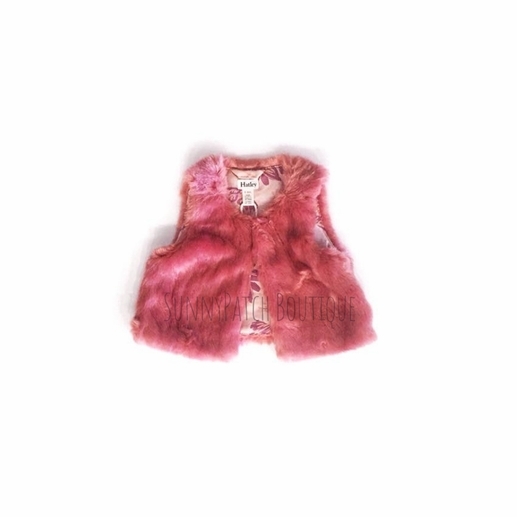 This DARLING faux fur vest will be a hit at every family function this holiday season! Each vest features a button and loop closure inside and is lined with a pretty floral. 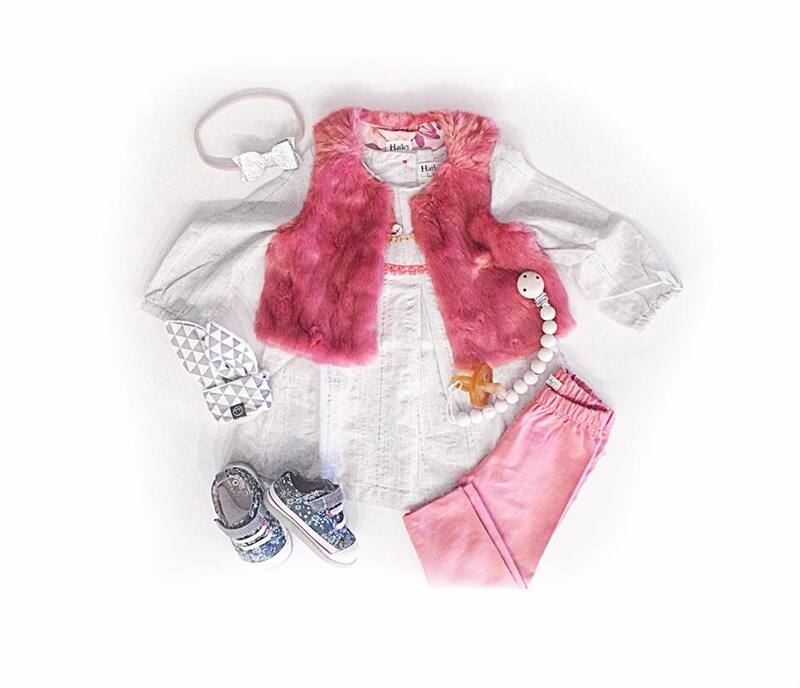 Pair with our Metallic Party Dress and pink leggings for a complete outfit as pictured to the left. 100% acrylic by Hatley.